Believe in the ‘Heart of the Cards’! Master the most legendary dragons! 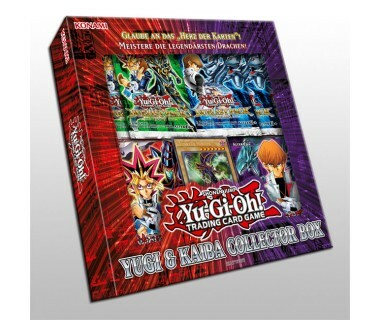 This is the perfect gift for fans of Yu-Gi-Oh! that want to start playing like their favourite characters from the TV show. 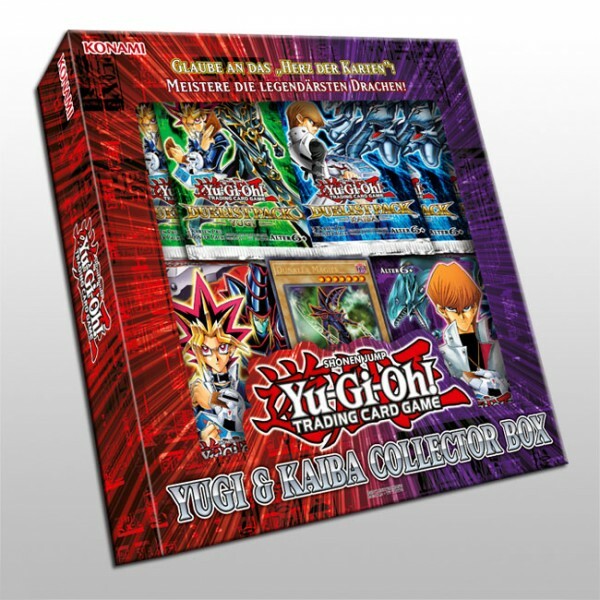 It comes with two complete, easy to learn, and ready-to-play 50-card Decks featuring many of Yugi and Kaiba’s most famous cards, plus six Duelist Packs containing 30 additional famous cards to customise the Decks however you want! Each Yu-Gi-Oh! TRADING CARD GAME Yugi & Kaiba Collector Box comes with 1 Yu-Gi-Oh! TRADING CARD GAME Starter Deck: Yugi Reloaded, 1 Yu-Gi-Oh! TRADING CARD GAME Starter Deck: Kaiba Reloaded, 3 booster packs of Yu-Gi-Oh! TRADING CARD GAME Duelist Pack: Yugi, 3 booster packs of Yu-Gi-Oh! TRADING CARD GAME Duelist Pack: Kaiba, 1 Ultra Rare variant art Dark Magician and 1 Ultra Rare variant art Blue-Eyes White Dragon! Fully compatible with all of the cards you already own.